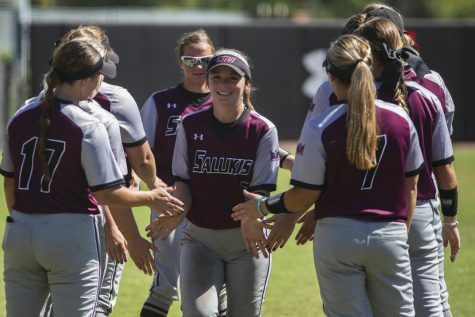 Today’s games were played more than 1,000 miles south away from Charlotte West Stadium, but for Saluki sophomores Sydney Jones and Savannah Fisher it seemed like a home game. 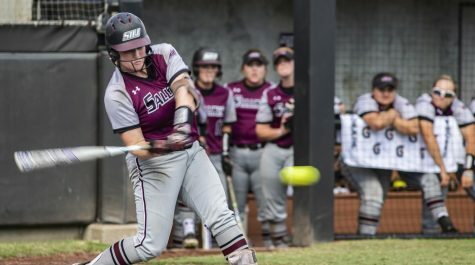 SIU softball (5-2) swept the opening day of the Florida Gulf Coast University Invitational with wins against Long Island University — Brooklyn (3-4) and Marshall (3-1). Jones, a Royal Palm Beach, Fla. native — almost 120 miles away from FGCU — finished the day 2-6 with four RBIs, two runs and one home run. Her parents and aunt and uncle were in attendance, with more family coming tomorrow. Fisher also had family in the stands and went 1-5 with one run in the two games. Freshman pitcher Brianna Jones (3-1) opened the tournament with her third complete game shutout in as many starts, moving to 3-1 on the season. 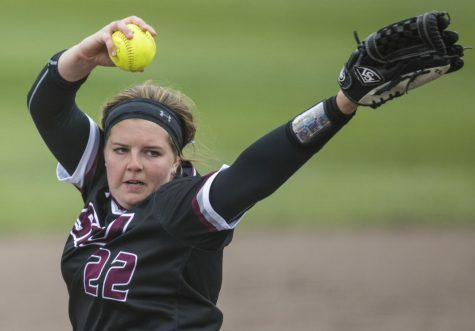 She finished with seven strikeouts, six hits allowed, one walk and one batter hit. The game was a pitcher’s duel between Jones and LIU’s sophomore Erynn Sobieski (1-2) until the Dawgs opened the game up in the third. Jones had two strikeouts to Sobieski’s three through the first two innings. Sophomore second baseman Savannah Fisher opened the third inning with Sobieski’s fourth, and final, strikeout of the game. Two singles and a hit by pitch later, the bases were loaded for sophomore catcher Sydney Jones. She sent a 2-0 pitch to center field for the single, scoring runners from second and third. But the Dawgs weren’t done there. 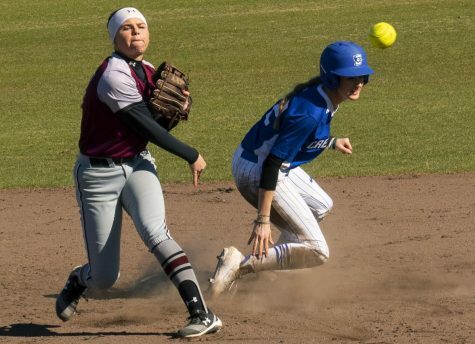 Junior first baseman Shaye Harre singled and freshman OF Hanna Porter reached on an error by junior short stop Kayla Gloady, with each driving in an unearned run to advance the lead to 4-0. After a single to right field by sophomore right fielder Jessica Heese, the bases were loaded for the second time in the inning. Junior center fielder Merri Anne Patterson singled to left field, driving in another unearned run. 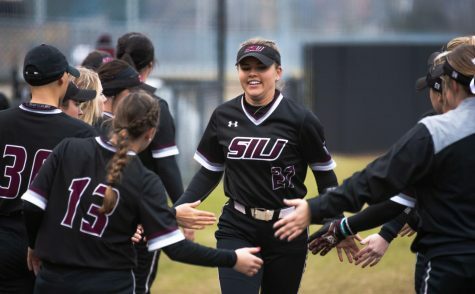 Two more unearned runs scored on the play and SIU ended the inning with a 7-0 lead. LIU’s senior right fielder Whitney West tripled in the second at bat in the bottom half of the inning on a 2-2 pitch but Jones kept her season ERA at 0.00 by drawing a ground out followed by her fourth strikeout of the game. West finished the game 3-3 with half of her team’s hits. The game remained at 7-0 until the top of the seventh inning. Jones then hit the first pitch over the left field wall for her first home run of the year. 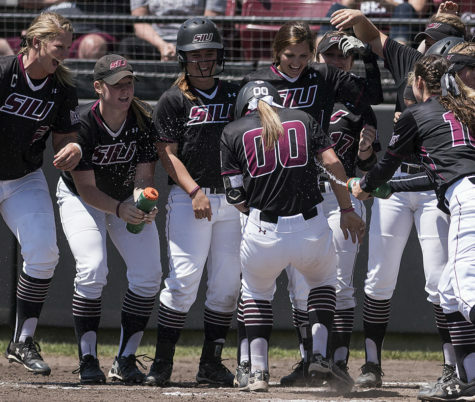 The homer gave SIU the 9-0 lead it would keep until the end of the game and gave Jones her fourth RBI of the contest. The Salukis finished the game with five hits in 10 at bats with runners in scoring position. In LIU’s three loses this season, No. 10 Florida State was the only other team to hold the Blackbirds scoreless. The second of the three loses was 9-2 against Florida International. 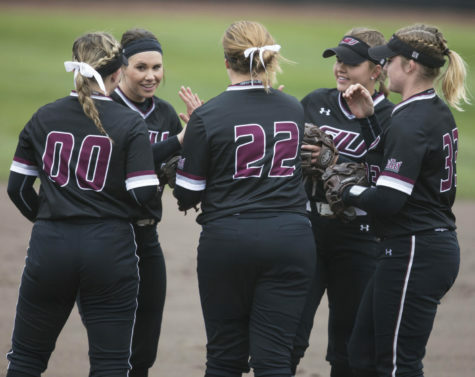 SIU played Marshall in the second game of the day after both teams beat LIU earlier on. Marshall beat LIU 10-2 in six innings. Marshall started the game with four-straight singles with two turning into runs. Junior pitcher Jordan Dixon struck out the side in the bottom half of the inning. The Dawgs got a run back in the bottom of the second when Harre and senior designated player Caylee Cook led off with four-pitch walks. Harre would later score on an error by sophomore catcher Taylor McCord. 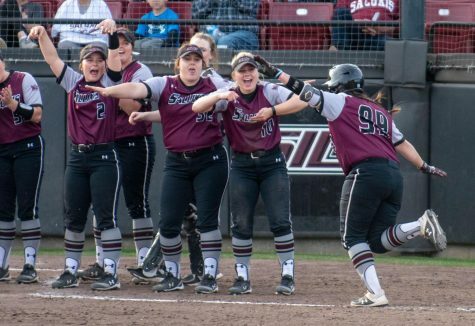 The Salukis trailed in the game until Porter hit a two-out, 2-and-2, solo homerun to tie the game in the bottom of the fourth. The score wasn’t tied long as the Salukis got their first lead of the game in the bottom of the fifth as Stam was hit by a pitch and scored on Brandenburg’s single to right field. Cook would later hit a three-RBI-single to build the lead to 6-2. Marshall made a pitching change at the beginning of the bottom half of the sixth as senior Brittanie Fowler entered the game. 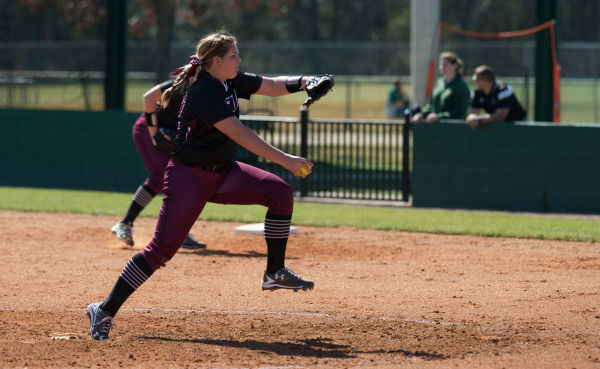 SIU added two unearned runs in the inning as Fowler’s ERA dipped from 30.00 to 15.75 on the season. 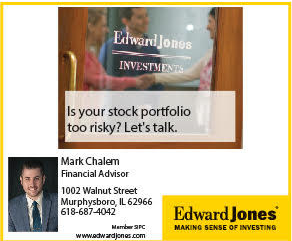 Marshall got four runs back in the seventh, and Blaylock pulled Dover in favor of Jones. She closed the game, allowing one hit in an inning pitched. 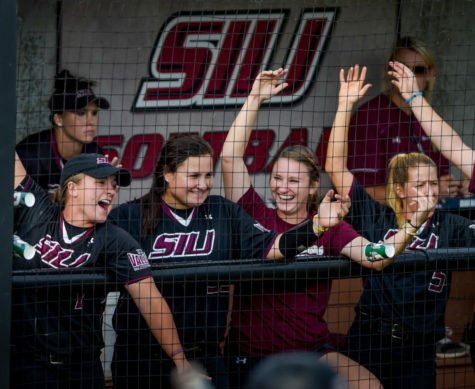 SIU is outscoring opponents 43-13 through seven games this season. They continue the FGCU Tournament at 11:15 a.m. Saturday against the host school.